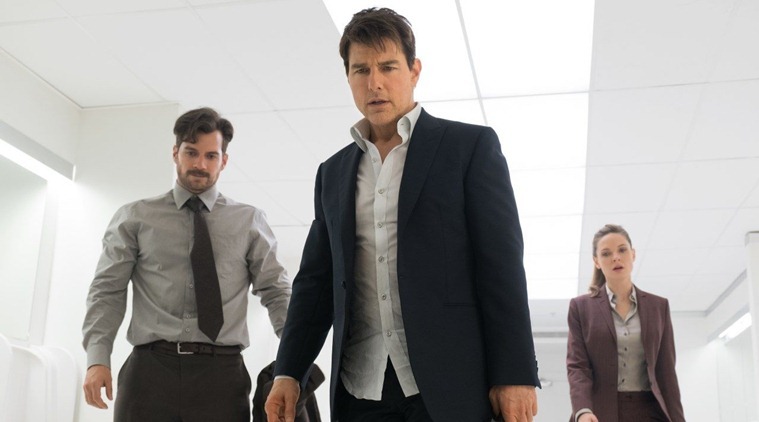 The Tom Cruise action pic, Mission: Impossible - Fallout, easily held on to the top spot this weekend with $35 million... bringing it's domestic total to $124.5 million. Overseas, it took in a big $76 million... bringing it's overseas total to $205 million. Fallout's early worldwide total stands at $329.5 million. This weekend's new releases Christopher Robin ($25 million) and The Spy Who Dumped Me ($12.4 million) came in 2nd and 3rd. Both films have come in somewhat under expectations. In other news, Incredibles 2 crossed the $1 billion mark this past week. It's worldwide total now stands at $1.047 billion. And... in other news, Black Panther passed $700 million mark domestically to become only the third move to do so behind The Force Awakens ($936.7 million) and Avatar ($760.5 million).